Dr. Chaouki Abdallah, UNM Provost and Executive Vice President for Academic Affairs, will be the Keynote Speaker at Anderson School of Management's Spring 2014 Convocation. Professor Abdallah obtained his BE from Youngstown State University in 1981, and his MS and Ph.D. in Electrical Engineering from the Georgia Institute of Technology in 1982 and 1988 respectively. He joined the Electrical and Computer Engineering (ECE) department at the University of New Mexico (UNM) where he is currently a professor. 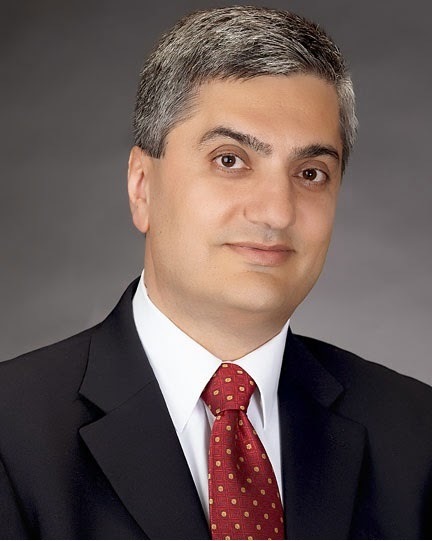 Between 2005 and 2011, Dr. Abdallah was the ECE department chair and became the provost and executive vice president of academic affairs of UNM on July 2011. Professor Abdallah conducts research and teaches courses in the general area of systems theory with focus on control, communications, and computing systems. His research has been funded by NSF, AFOSR, NRL, national laboratories, and by various companies. He was a co-founder in 1990 of the ISTEC consortium, which currently includes more than 150 universities in the US, Spain, and Latin America. He served as the general chair of the 2008 CDC, the premier IEEE conference in Decision & Control, which was held in Cancun, Mexico. Professor Abdallah is a senior member of IEEE and a recipient of the IEEE Millennium medal.